Valentine’s Day is just around the corner and I am on the hunt for sweet treats and heart shaped goodies. I have found some great ideas for school Valentines, tips for the perfect cake pops, and romantic ideas for surprising your husband. 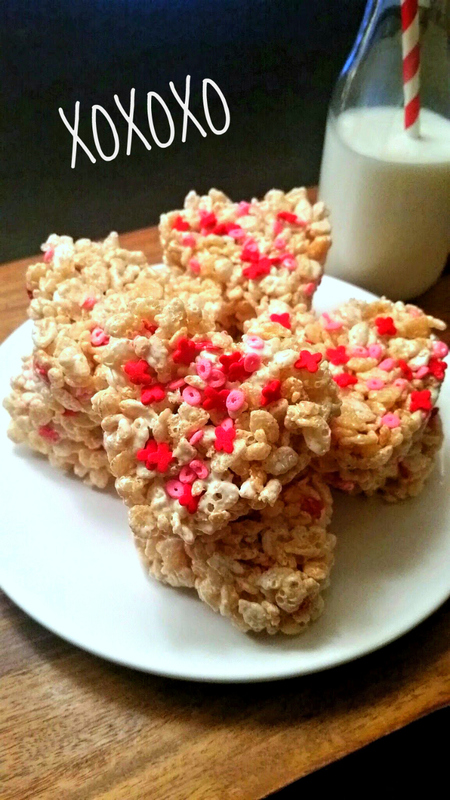 But, nothing beats a gooey krispy treat in the shape of a heart, covered in sprinkles! In microwave-safe bowl heat butter, marshmallows, and chocolate chips on high for 2 minutes. Stir until smooth. Continue to heat mixture at 1 minutes increments until completely melted. Stir well. Press in to well greased silicone pan and allow to cool. Serve to your Valentines with a tall class of milk! 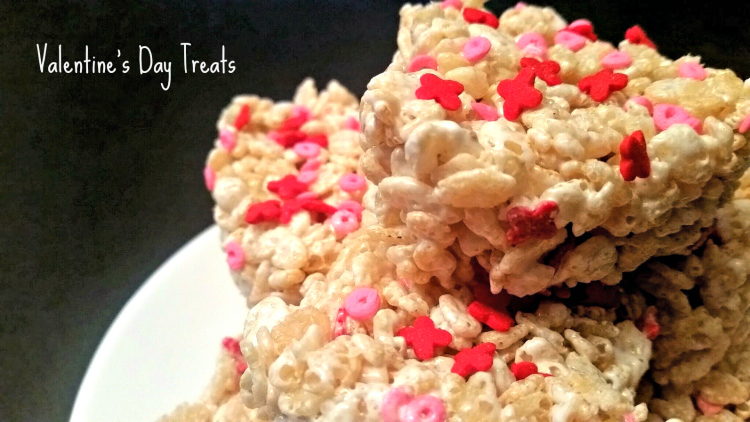 Your kids are sure to devour these special treats made with love. The white chocolate addition makes them irresistable for you, too! You’re welcome.